‘Enliven’ is a synonym for ‘revive’. Our mandate is to equip leaders in prophetic ministry and the move of the Spirit, towards a global awakening. Why the name ‘Enliven Ministries’? We believe that health in the prophetic movement globally is vital to this vision of a revived church being fulfilled! For this reason, our core values are infused into all our teaching and everything we say and do. How do you relate to David McCracken Ministries’? From 2017 onwards, David McCracken Ministries expanded from being a team of ministers to being a family of ministries. Enliven Ministries has been birthed out of David McCracken Ministries. We continue to be in the David McCracken Ministries family, as do our fellow team members, and David McCracken is still our spiritual father, as well as our Apostolic oversight. We consider this a great honour and are deeply grateful to David and Margaret McCracken for the years we have spent on their team. It is their vision, as well as our own, that has launched us into this new era. Who is on the Enliven Ministries Team? 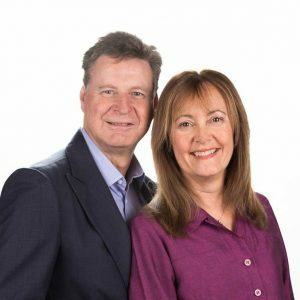 Helen Calder is the founder of Enliven Ministries, supported by her husband Malcolm along with three other directors. We look forward to expanding the team as God leads and will continue to partner with other members of the DMM family. Our doctrinal alignment is: our ministry is a part of the David McCracken Ministries family and our home church is Planetshakers Church in Melbourne, Australia. What do you mean by ‘Schools of the Spirit’? A primary focus of any ‘School of the Spirit’ is to equip Christians to know the Holy Spirit and His ways, and to move in His gifts and power. The outcome is that more people will know Jesus as Saviour, experience the love of the Father and have an intimate relationship with God. ‘Schools of the Spirit’ can be either central locations (online or geographical), or leaders (who are mobile). Our primary focus for empowering and equipping, at least in these initial stages, is in the areas of prophetic ministry, discernment and prayer. We are a prophetic ministry, and in addition to our online resources, our team travels, ministers and speaks as God leads us. Where does Enliven Blog fit into the ministry? Enliven Blog is currently our central base and an online ‘School of the Spirit’. It is already a significant resource where Christians and leaders can come to receive free learning and empowerment on the topics of prophetic, discernment, prayer and more. We now offer online courses, including a Prophetic School which you can view here. How is Enliven Ministries set up? Enliven Ministries is set up as a registered not-for-profit company in Australia, and our legal entity is Enliven Ministries Ltd.
Enliven Ministries Ltd has been established with five initial Directors, including David McCracken, who is also our Apostolic Oversight. 1. If you would like to partner with us financially, you can make a donation via our Partner Page.